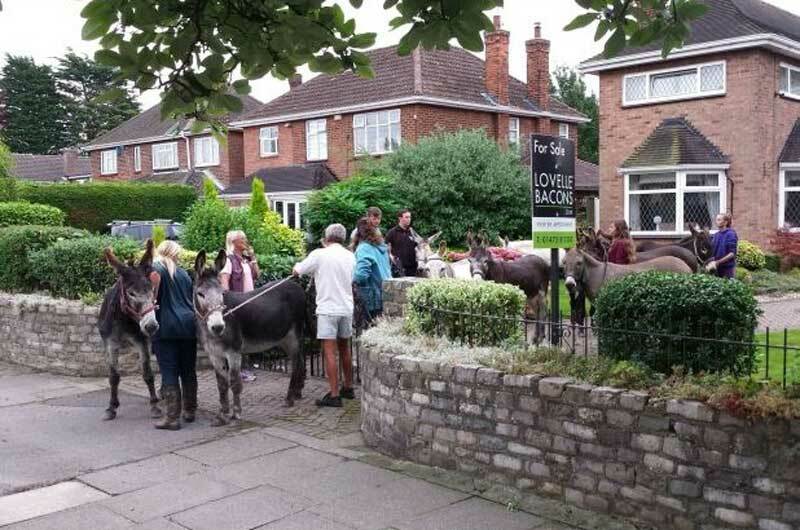 A dawn chorus of eeyores greeted a resident of Cleethorpes in north east Lincolnshire on Tuesday morning after 13 donkeys found their way into his front garden. John Coggon opened the curtains at his home to find the herd of donkeys on his front lawn. They had escaped from Cleethorpes Country Park after vandals had apparently attacked the pens overnight. 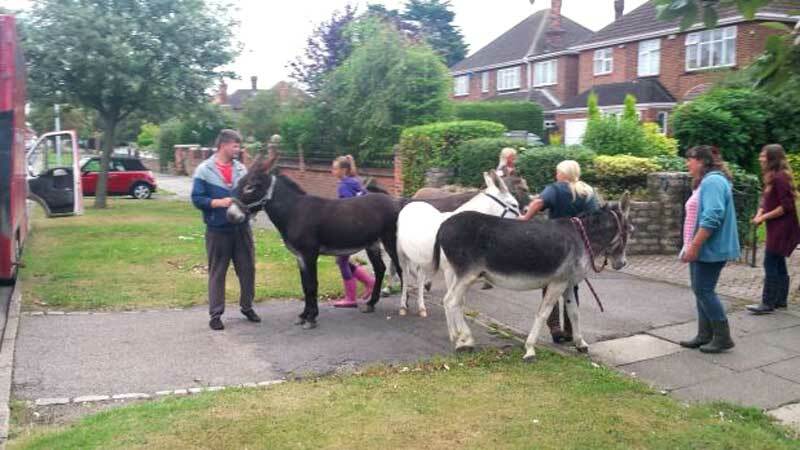 It would appear the popular beach entertainers may have found their way through the park and across King George V playing field close to Mr Coggon's home. 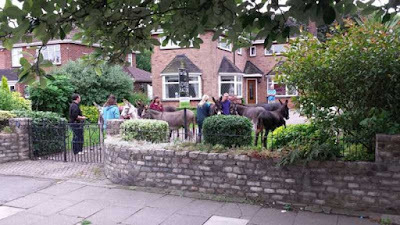 The donkeys owners arrived to collect the animals at around 7am. 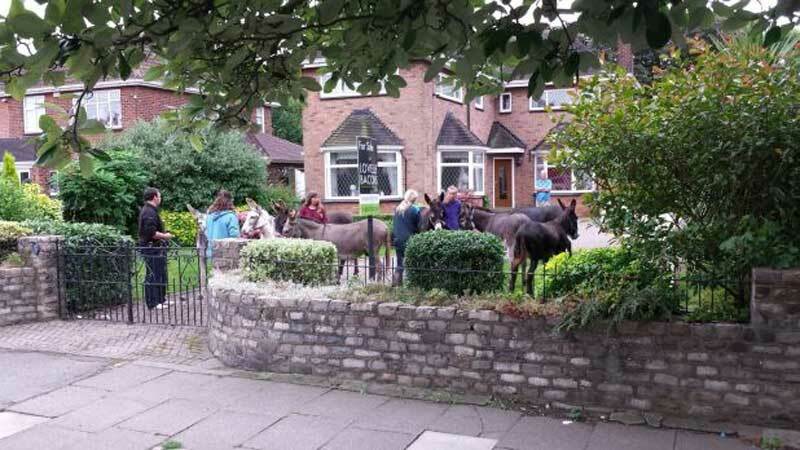 Mr Coggon said: "The gate was open, I looked out and there were 13 donkeys there. We went and closed the gate so they didn't get out onto the road. It was certainly an unusual thing to wake up to."